My name is Jacob Thiel. 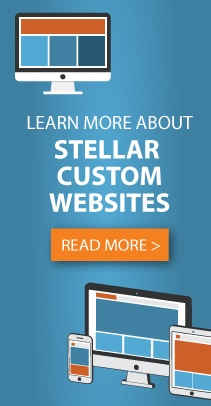 I am excited to have the opportunity to be a Web Developer for Stellar Blue Technologies. I have worked in the website building industry for the past two years. I really enjoy building websites. I have an Associate’s Degree in General Studies from UW-Oshkosh. I also have an Associate’s Degree in Web Development from Fox Valley Technical College. Other than building websites I enjoy rock climbing, playing video games, and listening to metal and rock music. I rock climb for the UW-Oshkosh Dynosaurs climbing team in the Wisconsin Indoor Climbing Series. My favorite music bands are Manowar, Gloryhammer, and REO Speedwagon. I play a combination of computer, retro, and Nintendo Switch video games. I look forward to meeting my new coworkers and building amazing websites at Stellar Blue Technologies.